The Valentine Teddy Bear is cute, plush, and cuddly! 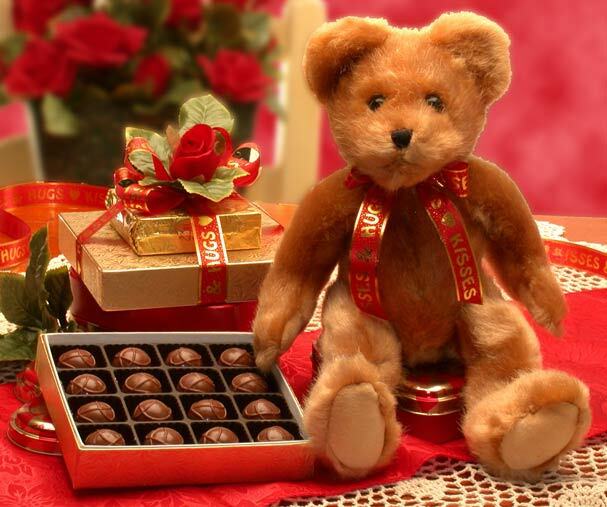 This little guy will warm the heart of the one you love, and the yummy truffles will deliver your sentiments of love and affection in good taste. Sent the Valentine Teddy Bear to him or to her to show how much you care this Valentines Day. 12" Fuzzy Valentine Bear, 4 cherry cream center chocolates, 4 Mint cream center chocolates, 4 Coconut cream center chocolates, 4 Peanut Butter cream chocolates, 3pc Mocha Chocolate Truffles.